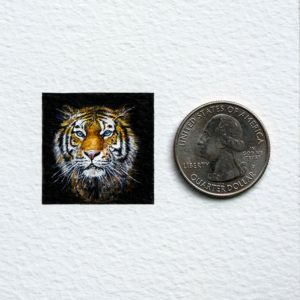 Imagine a ballerina small enough to fit under a single key on your keyboard… maybe your favorite singer… or even a ferocious tiger that could fit under a postage stamp? I have painted them all; squeezing in each and every detail. I paint for the details. Hopefully you can bring some of this into your daily life.